Frank Castle, better known to the world as the brutal vigilante The Punisher, is trying to lead a quiet life as a construction worker. His enemies, those who killed his wife and children, are all dead… or so he believes. However, when a secretly filmed recording surfaces – showing his former military unit’s illegal activities – the full extent of their criminal history is revealed. Frank gets pulled back into a life of violent revenge against those who betrayed his trust, as he learns that his real war has only just started. This time Frank isn’t alone in his fight though. He’s contacted by former CIA and NSA consultant David Lieberman, who now operates as a hacker called Micro and plans to expose the corruption. 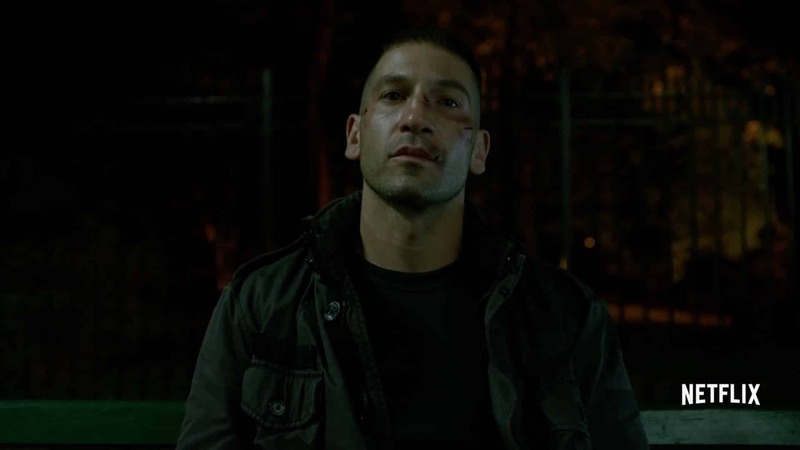 But while the Punisher and Micro have to build trust in each other to achieve success, their plans could be derailed by the uncompromising Homeland Security agent Dinah Madani, Covert Ops CIA Director Bill Rawlins, Frank’s former best friend Billy Russo, and by unstable military veteran turned terrorist bomber, Lewis Wilson. Frank wants bloody revenge and will stop at nothing to get it, while Micro only wants to return to his loved ones and resume his old life. But with such high stakes and not knowing who to trust, will either of them even survive? The Punisher was the breakout star of Daredevil’s second season, easily eclipsing Elektra. After three earlier films of varying quality for the character, finally, there was a version of him which connected with a broader audience, bringing to life everything about Frank Castle that his comic book fans have loved for years. His popularity in that show made it only natural that he would get his own spin-off series… but has lightning struck twice for Marvel’s non-superpowered ultraviolent vigilante? The answer, thankfully, is a resounding YES. After the disappointing Iron Fist series and the uneven Defenders, Marvel’s Netflix run is back in impressive form. While there’s the now-standard mid-season B-plot diversion for a couple of episodes, the main storyline is simple but solid and feels like a natural extension from Frank’s role in Daredevil. Even that B-plot of domestic terrorism doesn’t feel too forced, since it’s built up steadily in the episodes preceding it and is a terrifyingly genuine reflection of today’s society. For those who are hoping to see Frank dispatch mass quantities of violence, it’s there… but it never overwhelms the story or – more importantly – the characters. Seeing the Punisher rampage his way through every fight with ruthless aggression, it’s an impressive sight – but nowhere near as impressive as the snarky friendship he develops with Micro over time, or how he connects with Micro’s family on an emotional level and lets his humanity shine through. 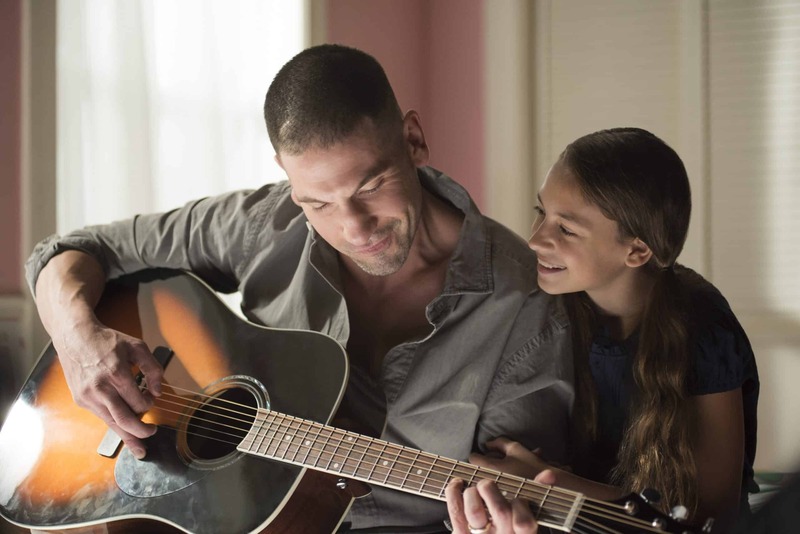 Jon Bernthal delivers an even better performance as Frank than he did in Daredevil, while Ebon Moss-Bachrach provides the counter-balance of Micro perfectly. As in the comic books, the complexity of Frank’s character and anti-hero status is accurately conveyed. Meanwhile, on a pure entertainment level, it offers high-adrenaline action and genuine intrigue. 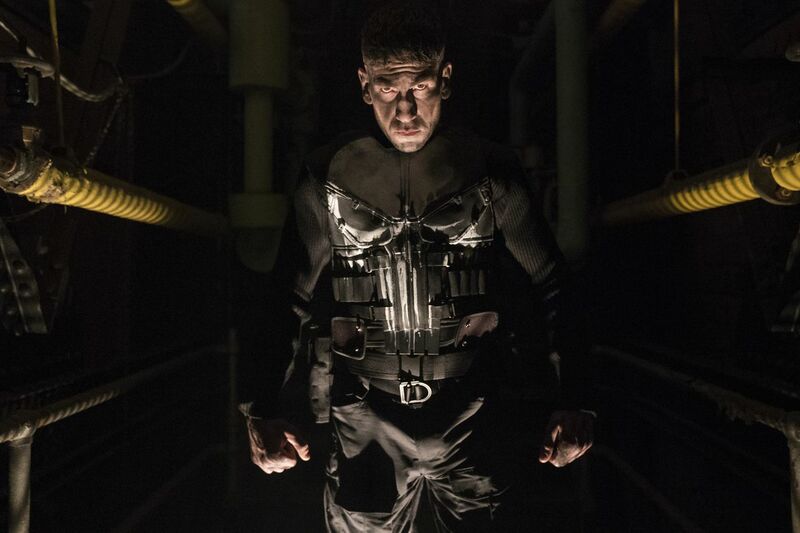 It’s intense, violent, and delivers on almost every level, making The Punisher one of the best Marvel Netflix shows so far. Welcome home, Frank… you’re right where you belong. Wake back up and finish it. What’s the matter with you. Does Russo become Black Mask? Marvel adapted the Punisher for today’s world, touching on hot topics like PTSD, Failure to Adapt, Veteran Suicide, Disabled Vets, Couseling, Domestic Terrorism, Gun Rights, Whistleblowers, and Politicians using the military for political gain. The characters were interesting, and the action was really good. Solid 5 star rating from me. Jon Bernthal was a perfect choice for this role right from the start in DareDevil. And that casting brilliance continues with both Ebon Moss-Bachrach as Micro and Amber Rose Revah as Madani. Among others. Whoever is casting these Netflix shows needs to win all the awards. The Punisher show is brilliant and, for me, definitely captures the comic book and is true to the source material. It humanizes Frank Castle, or rather continues humanizing him from his storyline in Daredevil, in a way that makes you uncomfortable. You feel his pain and loss and his fragile grip on reality and sanity and how he is only truly THERE when he is wearing the white skull body armor. And even when he is relentlessly, ruthlessly, coldly putting bullets into people you root for him. You -want- him to do what he’s doing. And if that doesn’t make you uncomfortable, see a shrink. But that discomfort is what tells you in a way that you can’t honestly deny that, given the right (or wrong) set of circumstances, you’d be just like him. And that is what makes Frank Castle the ultimate anti-hero. Jon Bernthal delivers that in spades. And then some. He is both terrifying and compellingly easy to empathize with. One batch. Two batch. Penny and dime. I found some of the obvious political commentary to be a bit heavy-handed and somewhat forced, but it was completely unavoidable all things considered and they used it to advance the story in a way that definitely worked. Besides, “subtle” is not exactly a word most would associate with the Punisher. All in all, I give it two thumbs up. Seriously, watch this if you haven’t. Marvel took it to the NEXT LEVEL this time around! Superb cast, amazing story, and awesome camera work! Best part is, it does not need to tie in to the rest of the existing universe, it works totally contained. 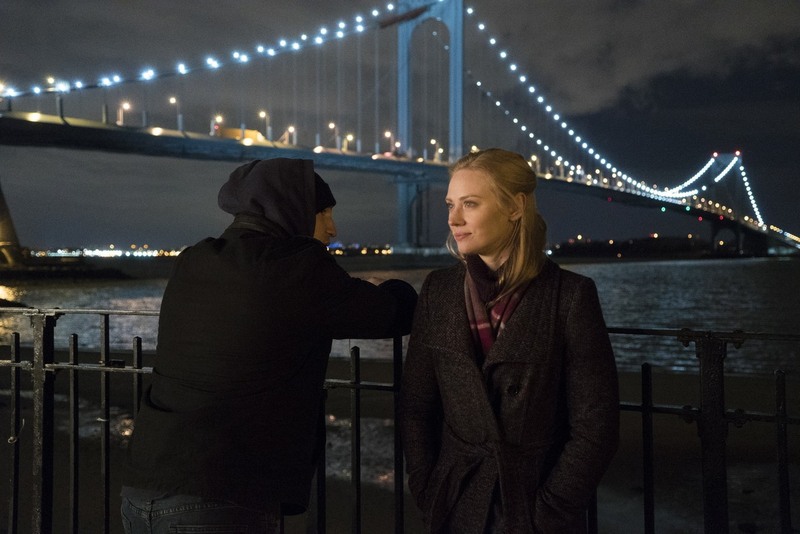 I one thing that doesn’t make sense, if Karen Page was threatened so publicly, why didn’t Matt Murdoch/Daredevil respond?